With sites in Greenwich Royal Park, London Fields and Covent Garden, you could say that Capital Bee is a true Londoner. Set up by Camilla Goddard in response to the critical shortage of honey bee colonies in Britain, she also manages a bee rescue service. To reserve your pot of 2013 honey, simply send Capital Bee an email (camilla@capitalbee.co.uk). The new Covent Garden honey can be found at Melvita's store in Covent Garden. Over 14 years ago Steve Benbow looked to the rooftops of London to fulfil his yearnings to keep bees in London. A strident ambassador for urban bee keeping ever since, he continues to pursue his passion with his open studio at Spa Terminus, regular beekeeping courses, market stalls, and hives throughout UK and London including the rooftops of Fortnum and Mason, Tate Modern and Tate Britain. 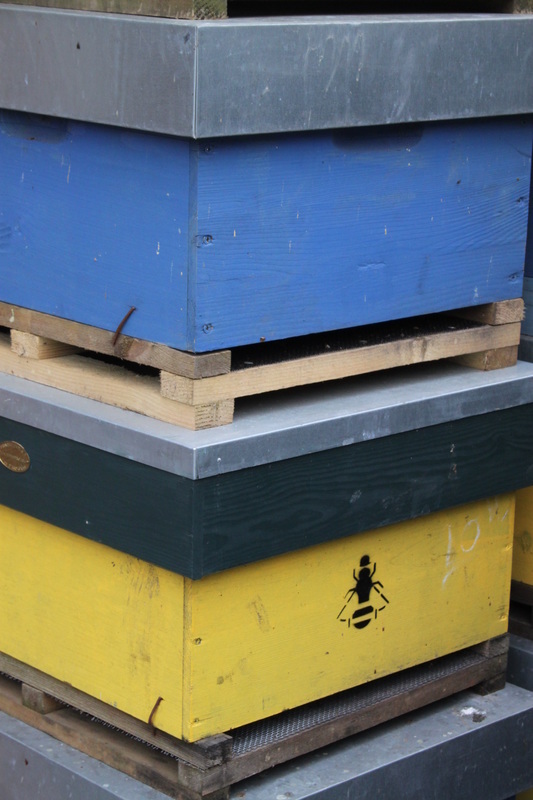 In the heart of the city is London’s picturesque Regent Park, home to a colony of bees kept by Pure Food’s Toby Mason. Toby has been selling his unique honey for the last five years. The taste of this very local honey (t is rare for the bees to venture beyond the park) changes with the seasons. One season you might detect elderflowers and limes; another, roses. Stockists include Planet Organic, Melrose and Morgan, and Sourced Market. Toby also conducts beekeeping courses at ZooTrain with John Hauxwell. Based in East London, The Golden Co is a social enterprise, working with young people to care for hives located at St. Mary’s Secret Garden. With a deep commitment to human ecology, this unique enterprise not only fosters a sense of community but offers training and development opportunities for young people in the area. You can buy Golden Co honey as well as honey from other very small London producers at London’s Borough Market on the last Saturday of every month. Started by Brian McCallum and Alison Benjamin in West London with a single hive in their garden, Urban Bee is now a thriving social enterprise. Offering training courses for aspiring bee keepers and working in partnership with companies such as the Co-op Group, it is more than fulfilling its mission to promote bee-friendly spaces throughout London. You can buy its honey at A Gold in Spitalfields. On their website, you’ll also find a bee guide – a map that identifies people who want to offer their land and for people who want to learn. Named by Nokia as its social innovator of the week in May 2012, the Honey Club is committed to saving the world’s bee population starting with in its own local community in Kings Cross North London. Run by a joint team between Wolff Olins (international brand consultants) and Global Generation, it hosts 100 000 honey bees on the Wolff Olins roof garden. The club hosts five events a year including how to bake with honey. On 25.07.2013, you’ll find them at the Filling Station, London. Check the website for details. Three-generations of bee keeping are at the heart of this purveyor of honey in London’s SW11. Among its extensive stock of candles, pollen, cakes, beauty products, tinctures, you’ll find English wildflower honey, gourmet honey like raspberry, linden blossom, orange, as well as London honey. 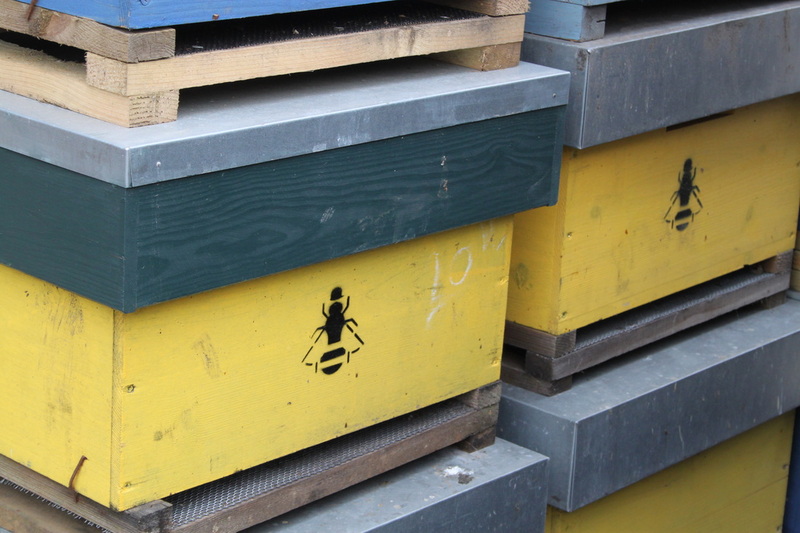 North London Beekeepers has been the home of beekeeping since the 1930s. You can often find its members honey at local markets near its apiary near Kenwood House, Hampstead.